By following our tips for finding and winning local awards, you’ll gain free press, increased credibility, and prizes that will give your business a serious edge in the PR sphere. Why Should I Apply for Local Awards? Because the free publicity is worth it! I know what you’re thinking—it’s not “free” if it takes your team hours to apply for these awards. But when you win an award, the return is greater than the cost. “Of course a great website and active social media presence are vital to representing your brand online, but do they get to people who weren’t already looking for you?” Wood asked. She has a point! If you get an award, it will likely be written about in local news sources and seen by people who wouldn’t ordinarily hear about you. You can link to this news source on your social media accounts to spread the story even more. This is an easy, affordable option for teams of any size. When you win a local award, it’s like a third-party endorsement that increases your credibility and position in your industry as an expert. This differentiates you from your competitors and may even attract new talent and partners as well as new patients. They’ll see you as a trusted fixture in the community. “Since some awards are issued by industry specific organizations, the winners often receive free memberships,” Wood said. These memberships may include free workshops and hotel stays, which means your team gets an opportunity to learn and network that may not have been possible before. Free press, increased credibility, and exclusive opportunities? Local awards have some great benefits! Here’s how to find and win these coveted awards. Local institutions like this want to give back to the community by supporting businesses like yours. Take advantage of this community spirit. As wonderful as your business is, you may need to do more than just apply to win. 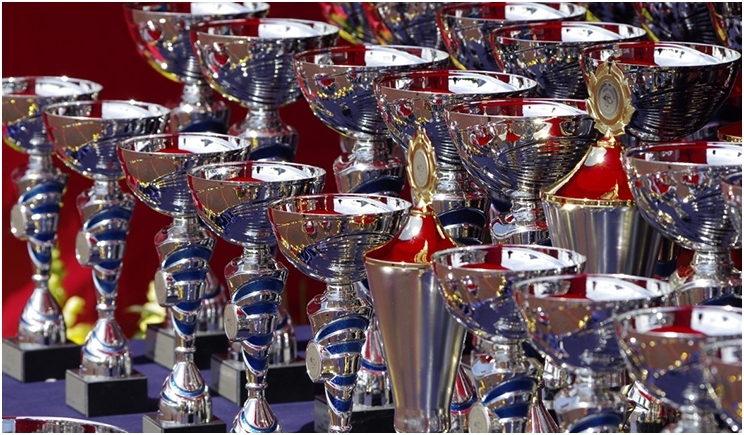 Turn your team into an award-securing task force so you don’t have to do it all alone. Delegate tasks like reaching out for customer testimonials or getting extra votes. After you’ve looked at past winners and the criteria for the award or awards you want to go for, ask yourself if your business is qualified—and ahead of the competition. Is there anything, really, that makes your business unique in an important way? Do you cater to an underrepresented demographic? Is your practice growing at an impressive rate? You may find that you need to make some changes before you’ll be a serious contender. Once you’ve won your award, you get to exercise your hard-earned bragging rights. Keep in mind that “any kind of placing or honorable mention is worth sharing,” Weid said. All press is good press, especially the kind that is actually good, if not as great as you wanted it to be. Use email blasts, press releases, and social media to spread the good news. When you share on social media, include or tag the social media accounts of awarding bodies and/or other winners. This will help you reach more people and strengthen your ties to the community. “Winning awards and competitions can help you establish credibility and put you on the path to influencer status,” Weid said. By using local resources, asking for help, researching past winners, and being introspective, you’ll earn awards and all the benefits that come with them. Sara Haslem Davis is the digital strategy director for Osmond Marketing, which serves a variety of tech, healthcare, and other business clients. A former president of Foxtail Marketing, she is an award-winning marketing executive with expertise in sales, operations, and customer experience. She can be reached at sara@osmondmarketing.com.